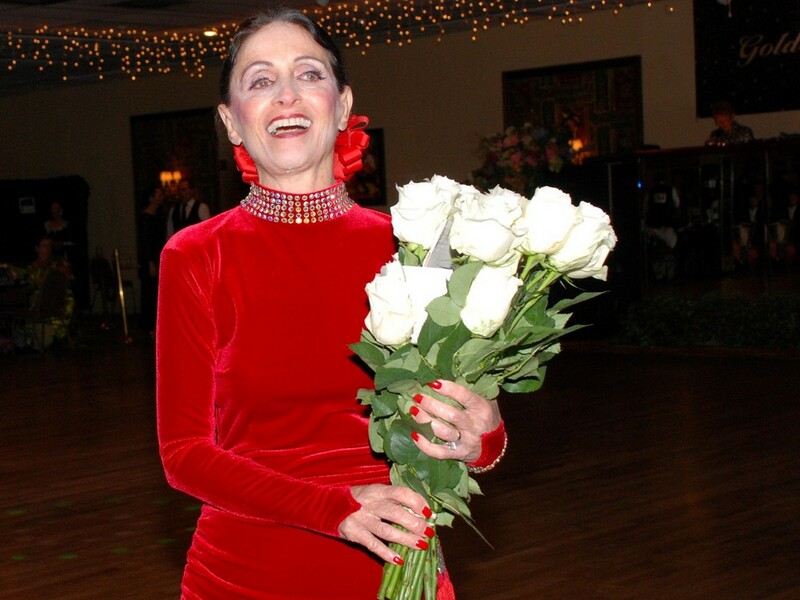 Patti MacDonald, Past President and Director of USA Dance Inc.’s Royal Palm Chapter, is a long-time friend and patron of Goldcoast Ballroom, who can be seen on Wednesdays at our Front Desk, welcoming dancers to the Ballroom. She is a leader in the South Florida dance community, and dancers of all levels seek her guidance and receive her encouragement in their dancesport or dance careers. USA Dance Inc. is the National Governing Body for DanceSport in the United States. South Florida’s Royal Palm Chapter is one of 150 Chapters of USA Dance Inc. throughout the United States. Patti MacDonald served as the President, Director, and Competition Organizer of the USA Dance Royal Palm Chapter, for over 15 years, until her retirement on December 31, 2017. Her husband Les MacDonald also served as a Director of the Chapter for many years, until his retirement on December 31, 2017. 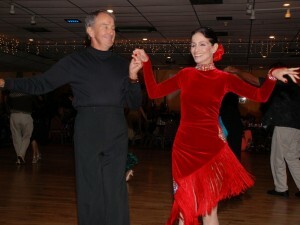 Patti and Les are themselves accomplished ballroom dancers in both International Standard and Latin and Rhythm dances. Patti, who trained as a ballet dancer, is a life-long dancer who inspires and encourages others. After successful careers respectively in education and business, Patti and Les continue to devote countless hours and make invaluable contributions to the encouragement and promotion of the art and sport of dancing. 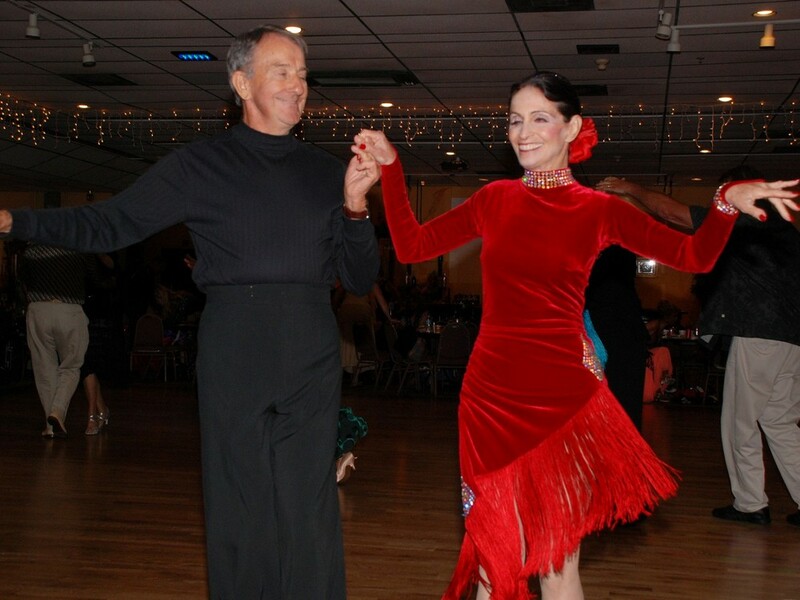 Patti and Les are to be credited with organizing and growing, over the 15 years of their tenure, the highly regarded and officially registered annual USA Dance Royal Palm Chapter DanceSport Competition that has taken place each year at Goldcoast Ballroom. This highly successful, well-run, and well-attended event is the only USA Dance officially registered DanceSport Competition that takes place in South Florida. After Patti and Les’ retirement from the Board, the Royal Palm DanceSport Competition continues to be presented each year by the USA Dance, Royal Palm Chapter, and organized by its new President and Board. Amateur DanceSport athletes of all ages from Florida, throughout the U.S., and Canada compete in this annual USA Dance Royal Palm Chapter DanceSport Competition at Goldcoast Ballroom. USA Dance Inc., as the representative organization for all social and recreational ballroom and Latin dancers in America, is the only organization entitled to hold USA National Ballroom Championships and delegate representatives to the World. USA Dance Inc is also the official member organization for DanceSport on the United States Olympic Committee (USOC), and the U.S. member of the world governing organization, the World DanceSport Federation (called the WDSF), which is the official global member organization of the International Olympic Committee (IOC). See more information about the officially registered annual USA Dance, Royal Palm Chapter, DanceSport Competition that takes place each year at Goldcoast Ballroom.